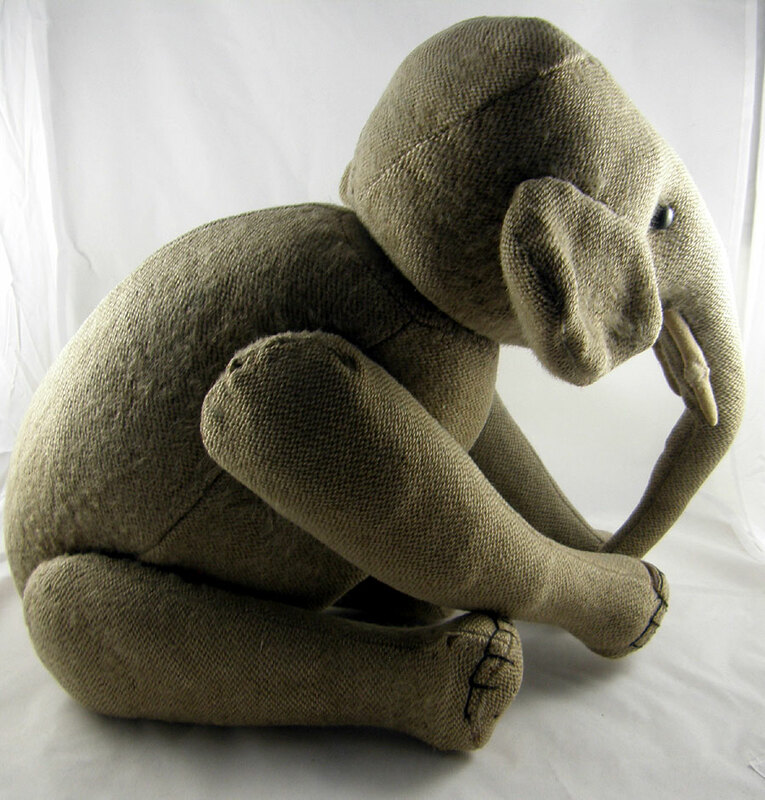 "Roderick" is a rare large rod-jointed elephant made of burlap and dating very precisely to 1904. He comes with an X-ray which clearly shows the early "primitive" jointing system which consisted of heavy metal rods passing from limb to limb and to the head. Provenance: He belonged to the De Winton family. Faith De Winton owned him all her life and included is a postcard dated 1905 which is addressed to Faith at Buckingham House, Brecon, Wales and features an Indian picture of a water carrier. 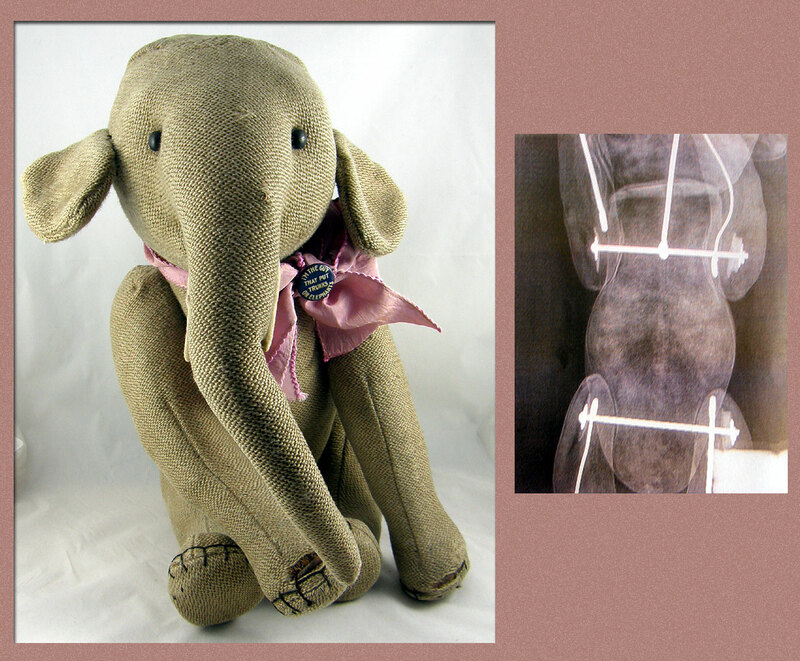 The De Winton family had large connections with India which probably explains why this elephant was so very special to them. 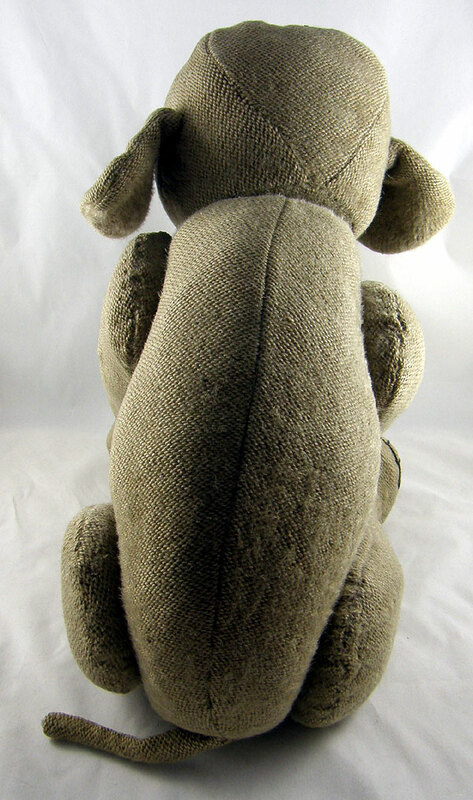 Roderick does not have a button in ear, but it is possible he never actually had one as he is one of the first elephants of his kind created by Steiff. The button-in-ear trademark swiftly became associated with Steiff products and was registered at the patent office on December 20th 1904 and legally confirmed in writing in May the following year.